Horritt Consulting provides a wide range of services in the flood risk analysis, mapping and spatial data sectors. These range in scale from flood risk analysis for single sites up to national and global scale risk assessments. For some examples of specific projects Horritt Consulting have worked on, have a look at the projects page. Natural variability in environmental processes, and the uncertainty in our modelling, mean that probabilistic approaches are becoming increasingly necessary in understanding and managing risk. Based on 15 years experience of using probabilistic approaches to understand natural hazards, we can help you to better understand and quantify risk in an uncertain and changing environment. The insurance, risk mapping and infrastructure sectors can all benefit from the more holistic approach offered by probabilistic modelling. Acknowledging inherent uncertainties helps you reach robust decisions based on an honest assessment of what we know about risk. Climate change is one of the most serious threats we face, and a resulting increase in flood risk will have serious consequences globally. We can help you understand potential changes in risk through coupling climate forecasts to risk models representing hdyrology, hydraulics and vulnerability. This allows us to understand the link between changing climate and the things the really matter: risk to people, property and the environment. 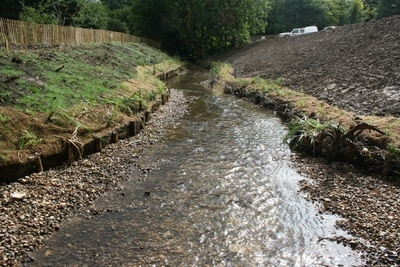 We can provide consultancy and training services in hydrology and hydraulics to help rivers trusts to balance the needs of improving ecological status and managing flood risk. Our experience in modelling with ISIS 1D and 2D, HEC-RAS, TUFLOW, and hydrological analysis, can help you understand flow regimes and plan channel works, weir removal, fish passes etc. We also offer training in hydraulics and hydrology, for staff from all backgrounds, with courses tailored to your needs. Our statement of capability can be downloaded here, or have a look at the projects page. We offer services in hydraulic analysis using numerical and analytical approaches, backed up by 20 years experience in analysis and modelling using HEC-RAS and ISIS. We can use these tools to help you understand flows in rivers, hydraulic structures, bridges, spillways etc, and support your hydraulic design needs, from single site up to national scale analysis and beyond. Assessment of risk to reservoirs from extreme rainfall events is supported by hydrological, flood routing and hydraulic analysis, including 1 and 2D hydraulic modelling of spillways and reservoir breach inundation. Matt Horritt has 10 years experience in lecturing and technical training in hydrology, hydraulics, probabilistic analysis, GIS and remote sensing. We specialise in delivering technical training courses tailored to your requirements. For examples of training materials, visit the Resources page. Contact us to discuss your training and professional development needs. We have been successfully developing commercial software applications for over 10 years, in image processing, hydraulic modelling and risk analysis, using proprietary and open source development frameworks. 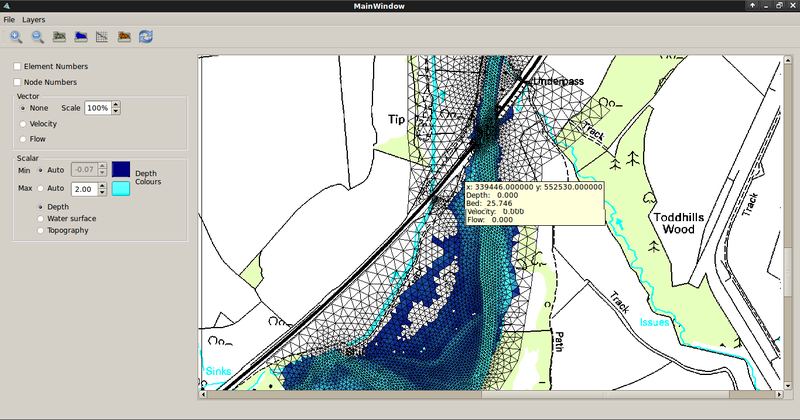 Applications can range from simple scripts for helping in GIS or analysing gauge data to stand alone applications with fully interactive GUIs. We have experience of developing using C/C++, Python, FORTRAN, Qt, for both Windows and LINUX/GNU/UNIX platforms. We focus on using open source software to offer cost effective mapping and spatial analysis solutions. We offer consultancy and training in the use of Quantum GIS, Spatialite and PostGIS spatial databases, giving you the power to create maps and extract value from your spatial data, without the need for expensive proprietry software packages. We can also help you unlock the information in satellite and airborne data at optical, infrared and radar wavelengths. Remote sensing can help you in hydrology, natural resource management, mapping, forestry, planning and many other fields. Our range of services in remote sensing and spatial data can release the potential of satellite and airborne data, drawing on the increasing number of free data sets. For more information on services offered and experience of delivering these services, see Matt's CV.